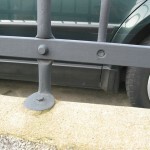 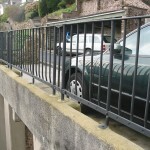 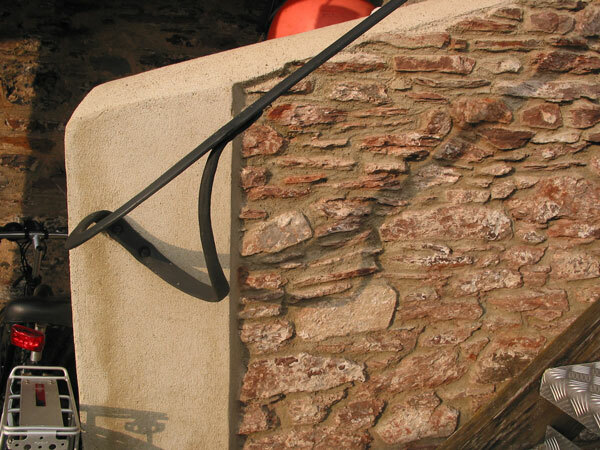 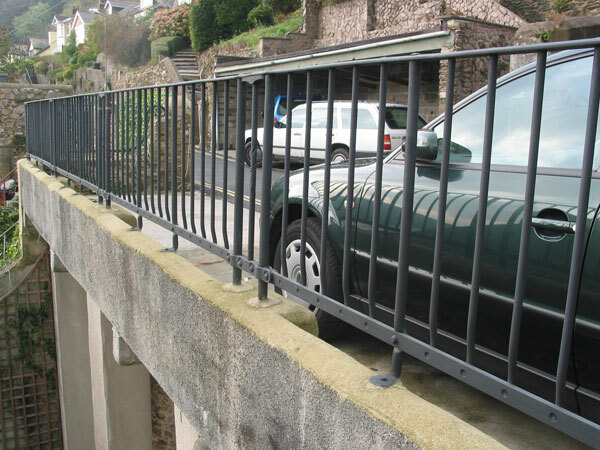 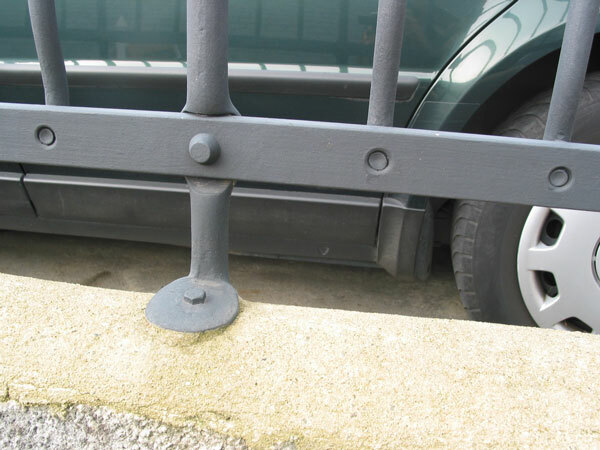 A set of simple , solid, rails to guard the parking area from the long drop toward the river. 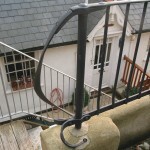 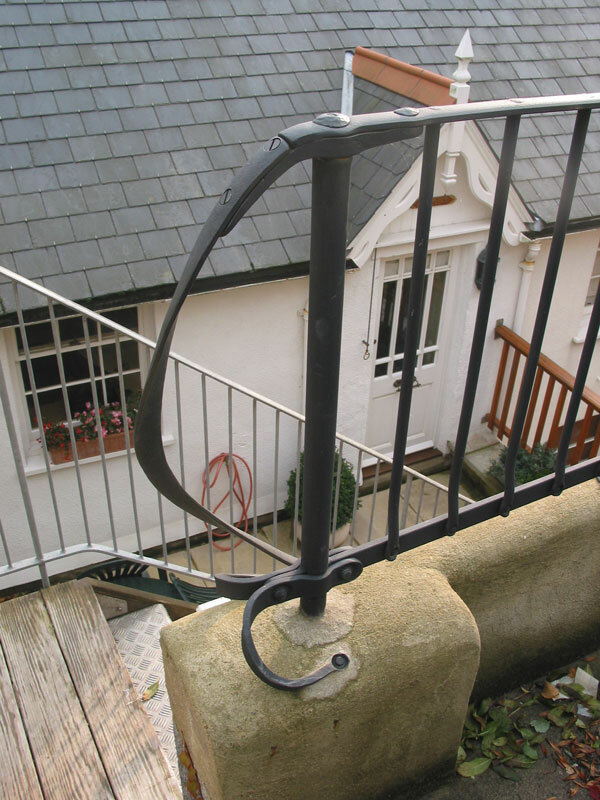 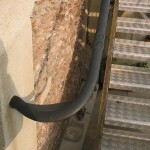 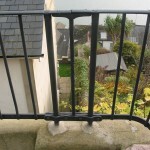 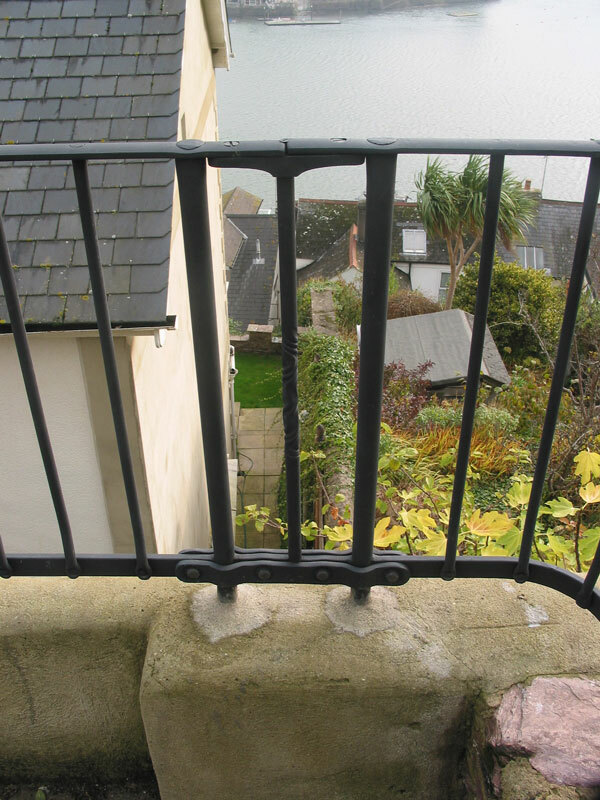 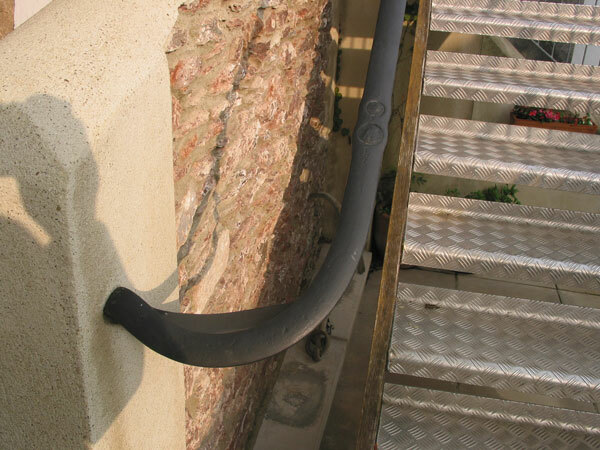 The rail continues as a handrail down the steps to the house below. 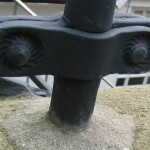 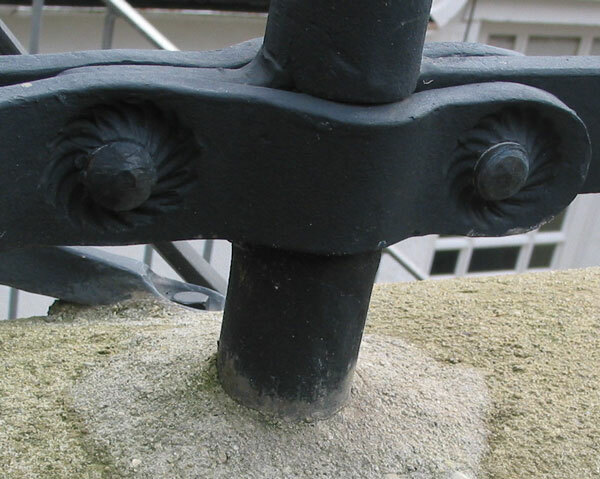 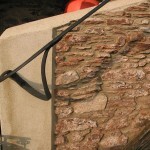 The detail of the forged clamp, which connects the sections, shows a coiled rope motif forged around the rivet hole, which is in reference to the customers marine connections.